User Experience (UX) Design allows users to interact with products or service offerings in a meaningful way through innovative design. The flux of this career path means it’s ever-adapting to the needs of users and the advances in technology. In 2012, CNN Money listed UX Design on its list of the Best jobs in America, with an estimated 10-year job growth of 22%.1 Even now, the growth rate of this industry doesn’t seem to be slowing down. A user’s experience is based on a feeling, this is hard to translate into a concrete concept.3 UX Design is the glue behind making the product or service a memorable experience for the user. It has evolved from being the beautiful wrapping on a gift to being part and parcel of the gift-receiving experience. The business strategy for UX Design becomes apparent when we understand feedback from users on products and services. This focus is on the emotional experience of the user on the platform. Emotional quotient (EQ) has been used in business strategies for a long time as emotions allow users to create meaningful relationships to products or services. UX Design leverages on the EQ dynamics of trust and communication, and this relies heavily on a collaborative approach to data streams.4 UX Designers need to marry creativity and business intuition to provide a solution that is feasible for all. At GetSmarter, understanding the need for this user segment is evident in the work that Jamie Kleyweg is working on. His project is an educational discussion forum, the task is to make it easier for students to interact and participate, and the most important outcome, is for this to be accessible by mobile users. Users need more from their environments and the technology that they use. 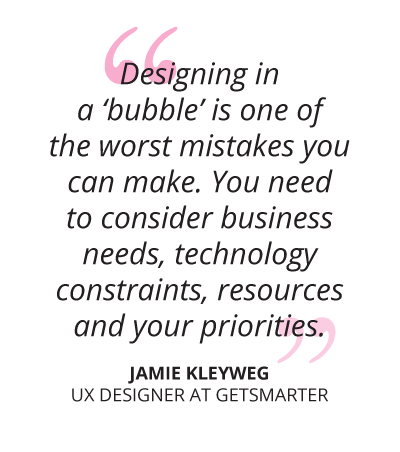 This demand is the reason why UX Design has transformed the digital skills path and businesses. 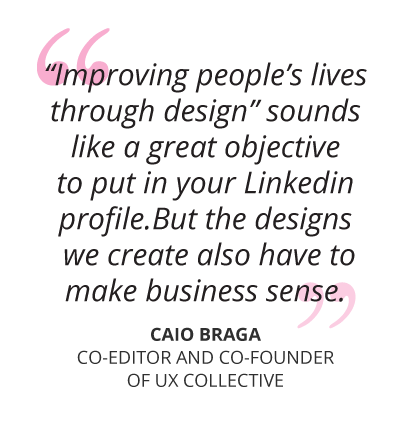 Ensure that you understand the people and technology that you are designing for. Work closely with a web developer, they can provide valuable information on technology constraints while you design. Keep in mind the overall outcome you need to achieve. UX is data driven and designs need testing, use this feedback to improve your platform. UX Design can be unbundled into one simple principle – communication is based on trust. A holistic perspective is necessary for designing and developing a successful, interpersonal interface for communication and business. 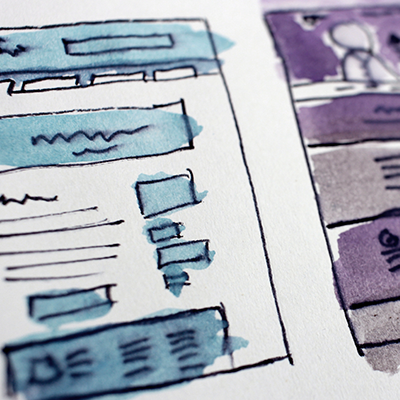 Improve your UX Design knowledge with a short course.